Boud Minerals is a leading supplier of functional and decorative filler materials for a variety of industry applications. Our products are used in the manufacture of construction materials, decorative systems, plastics, paints and coatings, resin systems, PVC and safety flooring, road surfacing materials and rubber compounds. To complement our exceptional range of filler materials, we offer a number of integrated services related to the handling and provision of mineral products, including technical coating, dry blending, colour matching, screening, drying and packaging. Boud takes pride in being versatile, flexible and independent - it gives us the freedom to serve almost any mineral need or integrated service requirement. It also means we’re free to research and develop techniques to improve performance across a range of substrates, and to innovate where we feel there may be commercial benefit – not only for ourselves, but for our customers. Years of independent research and development has helped produce one of the largest ranges of functional and decorative filler materials available anywhere in the UK. Some of these can be seen in the sections below. You can browse our full range of mineral products on the Boud website. For more information or advice, please contact our dedicated sales team on 01406 351988. 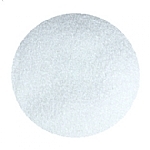 This lightly coloured quartz is used either on its own in decorative resin-bound and resin bond systems, or as a base substrate for light coloured pigmentation. Though different in appearance, Ash Quartz has the same hardness and performance characteristics as DKI Quartz (details of which can be found in the DKI Quartz section below). 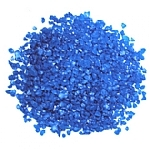 It is available in a variety of particle sizes to cover a range of applications. Visit Boud Minerals online to find out more. Bauxite is an extremely hard mineral with high-friction and anti-skid properties, making it suitable for a range of road surfacing applications. Most public sector systems will specify that Calcined Bauxite should be used in their road and pedestrian crossing installations. Bauxite’s natural hardness also makes it ideal for internal and external industrial flooring applications where a hard, long lasting mineral is required to give high-friction, anti-slip performance. Boud can produce pigmented Bauxite in all the main safety colours and in particle sizes from 1.0 – 3.0mm. Crushed glass is commonly used to give a highly decorative finish to external resin-bound, internal and external resin-bonded and terrazzo flooring systems, particularly in situations where a perception of depth is required. Fine, sub 100-micron grades of crushed glass can also be used as general fillers, mainly thanks to their very low oil absorbency. The use of crushed glass brings a recycled element to the system, which has obvious cost and environmental benefits. For more information on crushed glass and its uses as a filler material, please head over to the Boud Minerals website. 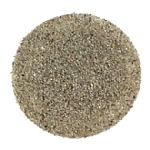 Torginol ColorMicas™ are unique metallic flakes that are used to provide a natural metallic luster to flooring systems. They are derived from a group of sheet silicate minerals known as mica. By separating the distinctive hexagonal atom arrangement of the mica minerals into sheet-like pieces, we’re able to create standardised flake sizes. ColorMicas™ are available in six unicolour styles. These can be blended to match virtually any decor. To find out more about ColorMicas™, please head over to our website or contact our sales team on 01406 351988. 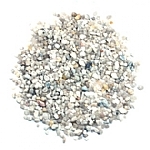 Crushed flint (derived from blue flints) is a general mineral filler often used as an alternative to quartz or silica sand because of its angular particle shape. It has a glassy surface texture and a hardness of around 7.0 (Mohs). 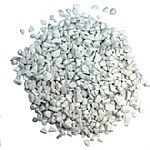 Crushed flint can be supplied in various particle sizes from 0.1mm to 3mm. Technical data can be found on the Boud Minerals website. If you would like to order a sample, please contact our sales office on 01406 351988. DKI Quartz is a light coloured mineral with a naturally rounded particle shape and a hardness rating of 7.0 (Mohs). It forms the main component for many of the dry blends and screed blends that we produce, but can also be supplied as a standalone product; we stock fifteen different particle grades as standard. Special mixes are made to order. DKI Quartz is washed, dried and processed to meet various continental grade specifications (this is particularly important where the system specifies a particle grading with a tight tolerance). You can order a sample by calling our sales team on 01406 351988. Other products can be produced on demand. Expancel ultra-lightweight thermoplastic microspheres are used in a variety of manufacturing applications, including coatings, paper and board, speciality inks, automotive body fillers and much, much more. 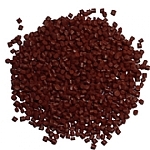 Expancel can be supplied in Wet Unexpanded (WU), Dry Unexpanded (DU), Wet Expanded (WE) or Dry Expanded (DE) format, or in Masterbatch (MB) form, where microspheres are pre-blended in a carrier to improve dispersion in thermoplastic applications. If required, Expancel can be adapted according to the end-user application. It can also be pre-blended with dry materials and re-packed to bespoke unit sizes. To discuss your requirements with a member of the Boud Minerals sales team, please contact us on 01406 351988. Bianco Carrara is a white marble used predominantly for resin terrazzo systems, resin-bound / resin-bonded systems, general decorative resin systems and plastics. All marble is soft and moist from source; Boud Minerals dries and de-dusts marble as a matter of course. 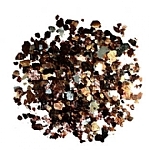 Particle sizes range from powders to fine and coarse chippings – for details on particle size availability, please visit Boud Minerals online. Bianco Carrara has a hardness rating of 3.0 (Mohs). 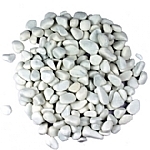 Marble pebbles are tumbled to achieve a smooth, rounded shape ideal for resin-bound systems and aquatic applications. 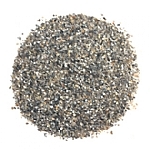 They are dried, sieved and supplied in a range of particle sizes. Rounded marble pebbles are available in a range of colours, including blue, white, yellow, beige, brown, black, pink, terracotta and green. To order a sample, please get in touch with our sales team on 01406 351988. 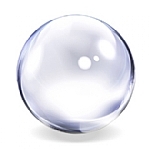 A Microsphere is a small, spherical plastic particle consisting of a polymer shell and an encapsulated gas. As the Microsphere is heated, the internal pressure increases and the thermo-plastic shell softens, allowing it to expand in size. A combination of low density and high resiliency makes Microspheres ideal for a range of applications, from synthetic leathers and printing inks to automotive body fillers and fish bait. Expancel and other microsphere products can be manipulated to make handling and workability in the production process a little easier. Get in touch to find out more. Masterbatch is a pigment additive that aids in the colouring of road surfaces (in particular cycle lanes, stopping areas, parking areas, roundabout approaches, etc.). 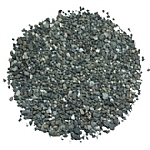 It is produced in pellet form and can be poured or screwed into the bitumen mixture to make the colouring application process much more easy and convenient. Pigment Masterbatch is pre-dispersed, which means less of the pigment is actually needed; it is incorporated into the mix very quickly and gives a cost-effective, vibrant colour yield. Because glass is a clear substrate, there are no restrictions on what colour it can be. 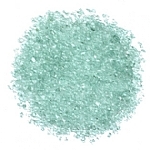 Crushed glass can therefore be pigmented and used for very specific and/or creative designs. Pigmented crushed glass is used to give a highly decorative finish in external resin-bound, internal and external resin-bonded and terrazzo flooring systems. It is also commonly used in aquatics and high-spec designer applications (for example, fashions shoots and film sets) where a very colour-specific product is required. Pigmentation of crushed glass takes place in-house under the observation of a quality management team. Silicon Carbide is a durable, anti-slip material commonly used in the production of PVC safety flooring, stair treads, loading ramps and other surfaces requiring high-friction characteristics. It benefits from high thermal conductivity and low thermal expansion, and can be integrated into a bespoke formulation blend or distributed on a standalone basis. Silicon Carbide also has a slight sparkle, giving a decorative element to the application. It is generally cleaner, more refined and available in much tighter grading than most abrasive, anti-slip products. Trans Quartz is produced by applying a semi-transparent pigmented coating to quartz, so that the natural variation in the base quartz gives variation to the finish. 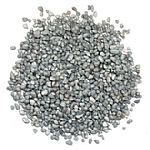 It is predominantly used in resin-bound systems. The application of the pigmented coating takes place in-house at our facility in Lincolnshire. To find out more, please head over to the Boud Minerals website or contact our sales team on 01406 351988. 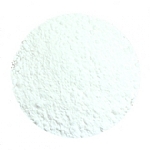 White Aluminium Oxide is often used to give anti-slip properties to a decorative surface. It does this without detracting from the overall appearance of the surface. As a mineral it is also very hard (9.0 Mohs) and very clean. Aluminium Oxide can be pigmented in bright whites and yellows to improve visibility in areas where safety is essential. If you would like to find out more about any of the products listed in the sections above, or would like to request a sample, please contact our sales team on 01406 351988. To discover our full range of filler materials, head over to the Boud Minerals website. If you've any questions about Boud Minerals products or services feel free to ask them here.